For anyone, buying a home is a daunting task. But for a 20-something, you know—today’s millennials, buying a home can be an enormous undertaking. But it is not an unachievable goal. In fact, today’s millennials are well-prepared to deal with some typical homeowner tasks. After all, this generation is often characterized as confident and positive, both traits that certainly can help during homeownership. 1. Know where you want to live. 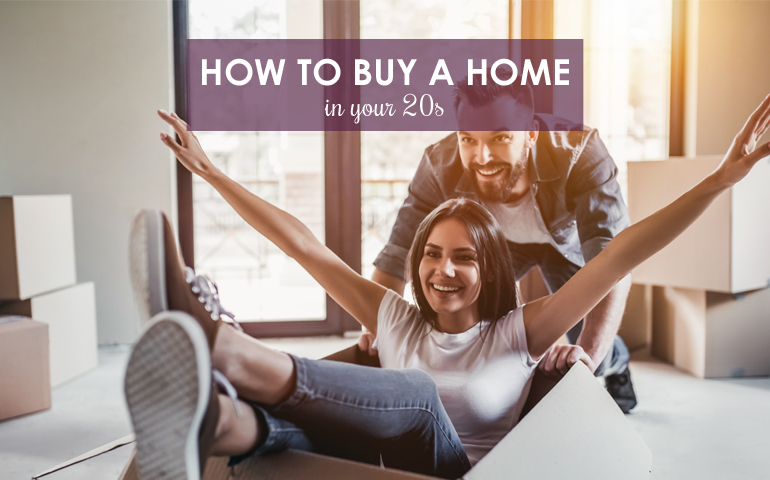 You may not have to decide where you want to live forever, but if you are planning to buy a home in your 20s, you need to make sure you’ll be living there for a while—maybe five years or so—that should ensure you make a return on your home investment. And don’t simply settle for an area just because you’re comfortable there. If you’re in your 20s, scope out a few locations before you decide you’re ready to settle down and buy a home. That means you should go out and live a bit before you buy. 2. Don’t skip loan preapproval. This advice goes for any home buyer. You don’t want to begin searching for homes without knowing what you can afford. So, before you begin to put in your needs and wants list with a real estate agent, be sure to seek out a lender and find out how much home you can afford. Be careful not to extend your budget to the upper extremes. This will give you more comfortability to make home improvements while you live in your home. Of course, you do not want to carry a large amount of debt when you apply for a home mortgage. But a proven credit history can help you secure a loan. Lenders want to see that you can be responsible with credit. In fact, if you can prove that you can use and pay on your credit consistently, you may be able to improve your credit score. This could mean locking in a lower annual percentage rate when you’re ready to buy a home. 4. Prove you can save. When it comes to applying for a mortgage, a good credit score and a decent amount of savings go hand-in-hand. There are federal loan programs and private lenders who will allow you to put less money down on a home, but even in your 20s, you’ll still need to prove that you can afford to own a home. One good way to do this is to show accumulated savings. If you have a history of bank statements that show off your savings potential, bring them forward when you apply for a mortgage. 5. Consider your future goals. Life in your 20s may be very different than life in your 30s or 40s. However, you cannot simply think about the present when you’re planning to buy a home. If you envision building a family in the short-term future, a townhome in the city may not be a practical purchase. If you know that you want no kids, a home in the suburbs may be out of the question. Think about your short and long-term goals before you buy a home. Finally, if you’re planning to buy a home in your 20s—or at any other age for that matter—don’t shrug off professional help. Contact an experienced real estate agent who can guide your home search, help with negotiations and take you all the way through to closing. Get started by contacting an agent at Berkshire Hathaway HomeServices The Preferred Realty today.